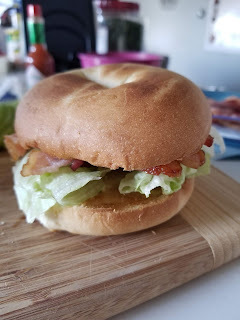 Sisters with Stuff: BLT or BLTB? In my house there is never enough bacon. I cooked some up for a different recipe and made extra in order to prepare lunch for my husband and kiddo. Do you ever feel like a short order cook? I know I do. Between our likes and dislikes and then there is the food intolerance. My son loves a BLTB or Bacon Lettuce Toasted Bagel. We skip the tomato and load up the bacon. My husband doesn't eat bread so I've gotten creative with alternatives. 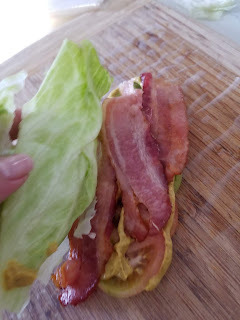 I used spring roll wrappers and added Dijon mustard to make a BLT - Bacon Lettuce Tomato wrap. I was also able to use more of my excess unripe tomatoes. 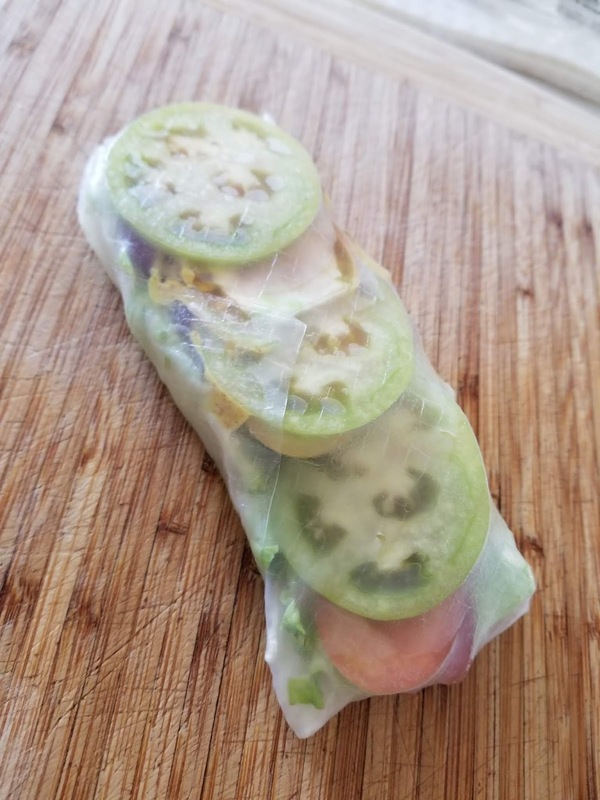 Makes for a great snack or lunch!